Offering state of the art nano ceramic and glass paint protection around Melbourne as a mobile service (That’s right, we come to you at a day and time that suits you). Get it done right the first time – With many years of combined experience in car cleaning, car detailing, truck cleaning, boat cleaning and vehicle paint protection in Melbourne, we know how to take care of your car. If you are looking for any one of Melbourne’s most highly recommended car detailers or a full car detail with the best paint protection available, then look no further. We aim to always be ahead of the competition and use the very best range of car care products in the world with many of the products tailor made to suit the paint systems of specific vehicle manufacturers. 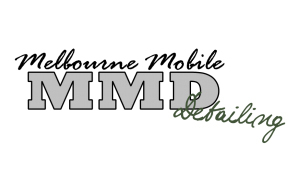 Everyday technology changes, advances and improves, because of this Melbourne Mobile Detailing (MMD) prides itself on keeping up with the latest technology and techniques. MMD is proudly an authorized and approved member to many worldclass nano ceramic and glass paint protection systems. Melbourne Mobile Detailing aims for the highest level of service and offers a multitude of experience including and not limited to car detailing, truck cleaning, boat cleaning.